Diffusing Essential Oils: Safe and Effective Tips | Nascent Naturals Inc. There is a new fad to entice consumers to blow through copious amounts of essential oils. They’re called electric diffusers, atomizers, nebulizers or any other contraption that will force essential oil into the air at warp speed. So why am I writing about this? Because so many of you have asked for my opinion; that’s why. So here are my thoughts…. The first issue I will refer to as “The flippant, flagrant, overuse of essential oils as fragrance”. Diffusing synthetic fragrances into the air via plug-ins, diffusers and motion sensing gadgets has been around for many years. This practice has come under a lot of scrutiny due to the hazardous phthalates and other chemicals forced out into the air with the fragrance. This method of use has spilled over into the aromatherapy world. People who dislike synthetic fragrances now seem to think that it is perfectly fine to emit massive amounts of essential oils into the air in the same manner because they are “natural”. While certainly healthier than synthetic fragrance, it is still potentially harmful and actually, well, unnecessary. Essential oils are not synthetic fragrances and not meant to be used this way. Yes, many of them smell great, but most are composed of complex chemicals that have therapeutic and medicinal purposes which can be achieved with a diffusion lasting just a few minutes, a few times a day. 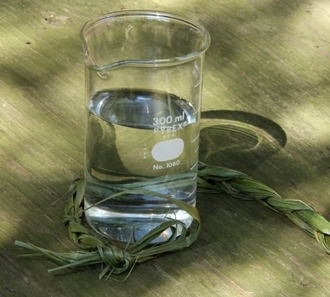 As a comparison, most essential oils are comprised of easily one hundred or more naturally occurring chemicals with both medicinal and aromatic properties; however, due to their complex nature, they are volatile, unstable and easily start to degrade or oxidize when exposed to the air for any length of time. Most essential oils maximize their effectiveness in about 15 minutes. If heat is added, count on about half that time. This is a basic fact of chemistry with essential oils. Even the best quality essential oils will start to oxidize relatively fast. Conversely, fragrances tend to be aromatic compounds that may have originated in an essential oil but are now produced in a laboratory. Phthalates, petrochemicals and other polymers may be added to keep the fragrance vibrant but are spread into the air as well. These are very stable and could last most of the day but possess no medicinal or therapeutic properties. If you are using what you think are essential oils and they are lasting a significant amount of time, you may be using fragrances and not know it. Your olfactory system and lungs will accept the intake of any aroma for a short length of time before some form of odor fatigue may set in in along with the potential for some adverse reactions such as headaches, dizziness, hyperactivity or coughing. This is particularly true of children, people with breathing ailments like bronchitis and asthma or even those with epilepsy, brain cancers or head injuries. I would never question the effectiveness of essential oils as inhalants or diffusing them into the air. I’ve been teaching and researching this for many years. There are many well documented studies authored by some pretty impressive scientists representing many respected Academic institutes worldwide. Results which are proven to help or support many issues such as inducing sleep, relieve pain, focus attention, help with memory, regulate blood pressure, influence moods and behaviours, soothe cough and cold, restore negative ions, reduce free radicals, repel mosquitoes and so much more. This is precisely why you should not be casually using them as air freshener or saturating the airspace in your home or work all the time just because you like the aroma. Some skill and knowledge are required to achieve such results. For example, just a few drops of an essential oil in a child’s room once a day is more than enough to deal with minor colds and congestion. Bombarding your kids with essential oils all the time also does not allow their immune systems to develop properly or spring into action when necessary. Diffusing too much essential oil to relax before going to bed can actually cause the opposite reaction of stimulating the brain even if it is an essential oil with sedating properties. Your pets, in particular cats can be adversely affected as well. Felines do not have the ability to metabolize essential oils topically or via inhalation so you must be careful. Many stories are circulating lately about the safety of diffusing oils around cats with a few reported claims of deaths shortly after diffusions began. Whether there is any validity to this remains to be seen, but if your pets have been adversely affected, you are diffusing too much. I also do not understand the apparent need for some to inundate others with their interpretation of aromatic bliss. Yes essential oils are natural, but they are still a chemical cocktail that our lungs and brain must process. Regardless of natural, many people don’t want to be blasted with a strong aroma of any sort when they walk into a room. Some are just too polite to mention. I work with essential oils all day on a large scale. I have to make sure safety protocols are in place for me and my employees. Knowing this, I have walked into many places such as health centres, retreats and homes where I was shocked by what was floating around the rooms. If someone like myself who is accustomed to large amounts of oils can be overwhelmed, what does that say about how it’s affecting others? MSDS (material safety data sheets) which are available for all essential oils, clearly state that you need proper room ventilation when using them in any capacity. Sudden exposure to any strong aroma can trigger an asthma attack or epileptic seizure if the person is predisposed to any aroma sensitivities. Something to consider if you are using them in a clinical or health setting. My second issue with diffusers is the lack of training and understanding of essential oil choices. Since diffusers seem to be an entry level for those seeking to start using essential oils, some more care and caution are necessary. There have been many documented cases recently about the excessive diffusion of some rather harsh oils such as cinnamon which have had an adverse effect on children. There was a recent situation at a daycare in Idaho whereby one of the employees was diffusing cinnamon or something like it in the air while the children set down for an afternoon nap. Upon awakening, the children reportedly had dilated pupils, headaches and nausea along with a few staff members. The fire department was called since carbon monoxide was suspected. It was determined that the combination of the strong aroma of cinnamon in a poorly ventilated space for an extended period of time was the culprit. This speaks to a poor understanding of essential oil use as anyone with a sliver of training should know better, especially where children are concerned. Cinnamon is to be used thoroughly diluted and only in small amounts for even the healthiest of people. There are many other oils which, when diffused in excess amounts during the day can be quite overwhelming to anyone’s lungs and particularly hazardous to those with breathing problems. Eucalyptus, peppermint, rosemary, ti-tree all come to mind. I know what you’re thinking; “but these oils are supposed to be good for respiratory problems”; yes they are but not by forcing them into someone’s lungs all day. We actually absorb significant amounts of essential oils into our bloodstream via the lungs; something that was thought to be inconsequential not long ago. Please don’t give the excuse that you need to diffuse the oils all day for clearing the air, disinfecting, restoring negative ions etc. A few shots of oil in the air throughout the day is more than enough. Beyond that, you are just pushing expensive air freshener into the room. Yes expensive! Most fragrance and potpourri synthetic mixes cost between $5-20 for a 250-500 ml bottle and will last a long time. Many essential oils can cost $5 -20 for a 15 ml bottle with insanely higher prices for pure jasmine, rose and other precious oils which can easily exceed $100.00. Since you only get about 300 drops out of a 15 ml bottle, that’s pricey and unnecessary. Then there is the price of those little machines, all the features and accessories you need to purchase. Some costing hundreds of dollars all the way down to the poorly constructed cheap models pushed out by the big box stores. Caveat Emptor! I also find that while some parts of a good quality diffuser may be glass or metal which makes it easy to clean, most of the device will be plastic. As you may know, essential oils tend to bond with plastics over time. The diffuser starts to have an odd smell of oxidized essential oils from over use and can’t be properly cleaned. This impacts that pure oil aroma you are trying to enjoy which may lead the purchase of a new one. Make sure you are using pure essential oils. Do not purchase from big box stores. Many of the oils sold at these places have proven to be synthetic. Support small independent essential oil brokers that have experience and connections to sell the real thing and provide proper advice. Start out slowly with the amount you are intending to diffuse. It is always easy to add more. Consider the room size. Ten drops of any essential oil diffused in a 10 x 10 room just once or twice throughout the day should be more than enough to achieve therapeutic results. I don’t recommend heat diffusion as the essential oil will degrade much faster. The cooler the oil is, the better when it leaves the diffuser. Make sure the room is properly vented and or adequate air circulation is available. Consider who will be inhaling the aromas. Is it children, elderly, people with breathing issues like asthma? Just because someone claims to think it is pleasant does not mean they will not have some side effects now or in the future from breathing in the oils. Timing is everything. Early in the day you likely will want stimulating oils such as lemon, orange or peppermint. In the evening, more relaxing oils should be on tap such as lavender, chamomile. In a car, they should be stimulating but not overwhelming to keep you focused. You are in a very confined space so just try a drop at a time. Which oils do you intend to use? Are they aggressive as in cinnamon, eucalyptus, rosemary? Read a little more about these before diffusing. Are they some of the more expensive ones in jasmine or rose? You may choke on the cost of the real thing. For what purpose are you diffusing the oils? Is it for colds and flu, to relax, relieve stress, aphrodisiac or other mood enhancement etc. Make sure you are using appropriate oil mixtures for desired effect. Take breaks from aromatic diffusions. Take some days off. When you diffuse again, it will be better appreciated by everyone. Moderation is the key. You can create your own diffuser or effect with items you have around the home. They won’t be conversation pieces and may not compliment your decor, but will be far less expensive, and do the job. Take a glass of water. Fill it close to the top. Add a few drops of essential oils and put in front of a fan, air vent from your furnace or in front of a vaporizer. 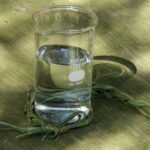 It’s easy, inexpensive and the glass is easy to clean thoroughly with no residue. Just make sure your pets and small children don’t try to take a swig of the stuff. You can also cut some paper towels, cotton or gauze into thin strips. Add a few drops of essential oil and clip to a fan or air vent. For cars, put a few drops on a tissue and stick it in the air vent. When finished, just put them in the garbage. Cleanup is easy and all residues are easily removed. Other ways to help purify the air naturally without any scent are to use trays of Himalayan salts or salt lamps, burn beeswax candles or use charcoal air filters. Oh and if you still plan to buy a diffuser because you must have one, make sure it was not made in a country where child labour laws are non-existent and the workforce is exploited to the fullest, ensuring big profits here. That seems to happen when consumer demand for little appliances like these suddenly spikes. Either that or just wait a while; as with most fad gadgetry, you’ll probably be able to pick one up for a few bucks at a garage sale. Ok you can exhale…. © 2016 Nascent Naturals Inc. All rights reserved. The Adulteration of Essential Oils – and the Consequences to Aromatherapy & Natural Perfumery Practice. Copyright © Tony Burfield 2003-2008.